Co-discoverer of protactinium and nuclear fission. October 27 marks the passing of Lise Meitner. Meitner was an Austrian physicist who was part of the group who discovered nuclear fission. Meitner became a physicist in spite of the challenges society put against her. The University of Vienna, who granted her doctorate did not allow women to attend higher public education institutions. She learned her trade through a private education and support from her family. She received guidance from Ludwig Boltzmann and managed to earn the second doctorate in physics awarded to a woman. In spite of her new degree, she was unable to find the faculty position she wanted and ended up working as an assistant to her doctoral advisor. The next year she moved to Berlin to attend lectures under Max Planck. It was during this time she met a chemist named Otto Hahn. The two of them worked well together and began a collaboration that would last 30 years. The pair of them worked on problems of radioactivity and discovered the element protactinium. Their most important collaboration was the international attempt to find the first transuranic element. After James Chadwick discovered the neutron in 1932, scientists reasoned it would be possible to create new elements and isotopes by bombarding natural elements with neutrons. The Hahn-Meitner team set out to be the first to produce new elements past uranium. Unfortunately, this team would be broken up and the work interrupted by Hitler’s rise to power in 1933. German scientists of Jewish heritage suddenly found themselves either dismissed or forced to resign. Meitner stayed in Germany as long as she could but left in 1938. Hahn gave Meitner his mother’s diamond ring to bribe border guards while Dutch physicist Dirk Coster escorted her across the border. Coster convinced the guards Meitner had the authorization to visit the Netherlands for a scientific convention and Meitner never went back. She moved to Copenhagen and took up a post in Manne Siegbahn’s laboratory. Meitner continued to correspond with Hahn and share research information. Hahn wrote Meitner about a problem he encountered in his laboratory. He was bombarding uranium with neutrons in hopes of producing heavier versions of uranium but he was detecting barium in his samples. Meitner and her nephew, Otto Frisch were discussing Hahn’s problem and noticed barium had nearly half the atomic mass of uranium. Perhaps the neutrons were splitting uranium’s nucleus in half. Using Bohr‘s liquid drop model of the nucleus, they reasoned the energy of the colliding neutron added enough to cause the electrostatic repulsion of the protons to overcome whatever force holding them together in the first place. They also showed this split would be accompanied by a tremendous release of energy. They wrote up their explanation and Frisch called the splitting process ‘fission’. Hahn would win the 1944 Nobel Prize in Chemistry for the discovery of nuclear fission. Meitner and Frisch would admit in interviews later they believed the achievement of the discovery of fission correctly attributed to Hahn. While their contribution was not insignificant, Hahn’s chemical abilities were able to identify the barium in his sample. Meitner and Frisch only identified the physical reason for what Hahn discovered. Many feel her exclusion from the Prize was due to negative opinions of women in science. Her contributions may have been ignored by the Nobel Committees, but was recognized by other awards. She received the Max Planck Medal in Germany and the Enrico Fermi Award in the United States. She also has a crater on the Moon and an asteroid named after her. In 1997 element 109 was named meitnerium in her honor. 1999 – Robert L. Mills died. 1980 – John Hasbrouck van Vleck died. Vleck was an American physicist who shares the 1977 Nobel Prize in Physics with Philip Anderson and Nevill Mott for their research into the behavior of electrons in magnetic non-crystalline solids. He also proposed a model describing the electronic structure of transition metal compounds known as crystal field theory. This would eventually become the basis of ligand field theory. 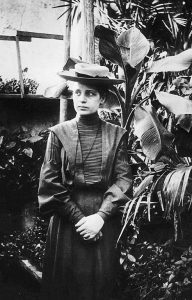 1968 – Lise Meitner died. 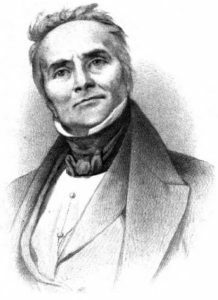 1845 – Jean Charles Athanase Peltier died. Peltier was a French scientist who discovered the heating or cooling effect of a junction of two metals in a circuit is related to the electric current passing through the junction. Depending on the direction and strength of the current, heat energy could be gained or lost. This became known as the Peltier effect. Peltier was also known for his studies in meteorology. He published papers on atmospheric electrical phenomenon, hurricane formation, waterspouts, and the effects of altitude on the boiling point of water.